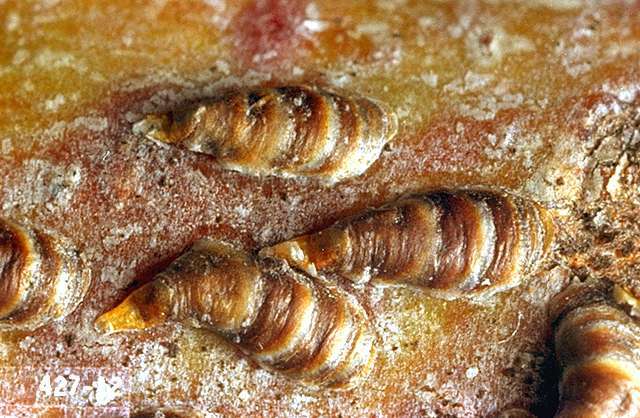 Pest description and damage The mature scale is approximately 0.125 inch long, hard-shelled, pinkish to brownish or gray in color, and usually elongated and slightly curved like an oyster or mussel shell. 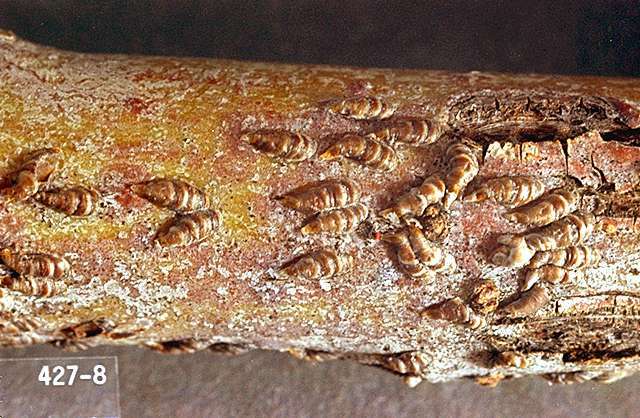 Oystershell scale are found on trunks, branches, and twigs of many broad-leaved deciduous plants. They occur less frequently on the leaves and other plant parts. Scale infestations often are limited initially to isolated colonies on single branches or twigs. Newly emerged crawlers look like bright white pimples on the bark.